Timur Vermes is a German writer who back in 2012 published Look Who’s Back, a supposedly comic novel based on the premise that Adolf Hitler wakes up in 2011 Berlin, destitute and confused. Everyone who sees him believes he is a superbly nutty, fantastically accurate impersonator of Hitler, a master of method acting. He begins to attract notice, appears on radio and television shows, where he offers views of what he sees around him in Germany in 2011, views entirely consonant, we are supposed to believe, with those of Hitler. This enables Vermes to strike blows against the neo-Nazis of today, by showing — or so Vermes thought — how close the positions Hitler himself would have taken on such subjects as the Muslim migrants in Germany mirror those of his nostalgic followers today. So this protagonist, whom everyone assumes is a brilliant actor, but who is in fact the real Hitler, expresses the views we all know Hitler would have held, had he been alive today. And chief among those views is the “islamophobia” that today “neo-Nazis” are accused of holding. In fact, in Germany today, if you hold views severely critical of Muslim migrants, and of Islam, you will often be labelled, and only for that reason, as a “neo-Nazi.” Vermes’ novel does not take issue with this, but accepts such characterizations of Islamocritics. The novel was an astounding success in Germany, selling more than 1.2 million copies. It has been translated into 19 languages. But there is one thing fatally wrong with this book about an imagined Adolf Hitler in 2011. Vermes makes his Hitler “islamophobic.” As it happens, we don’t have to guess what Hitler thought of Islam. He tells us. He is unambiguously admiring. He regretted that Islam had not conquered Europe. “It’s been our misfortune to have the wrong religion,” Hitler complained to his favorite architect Albert Speer. 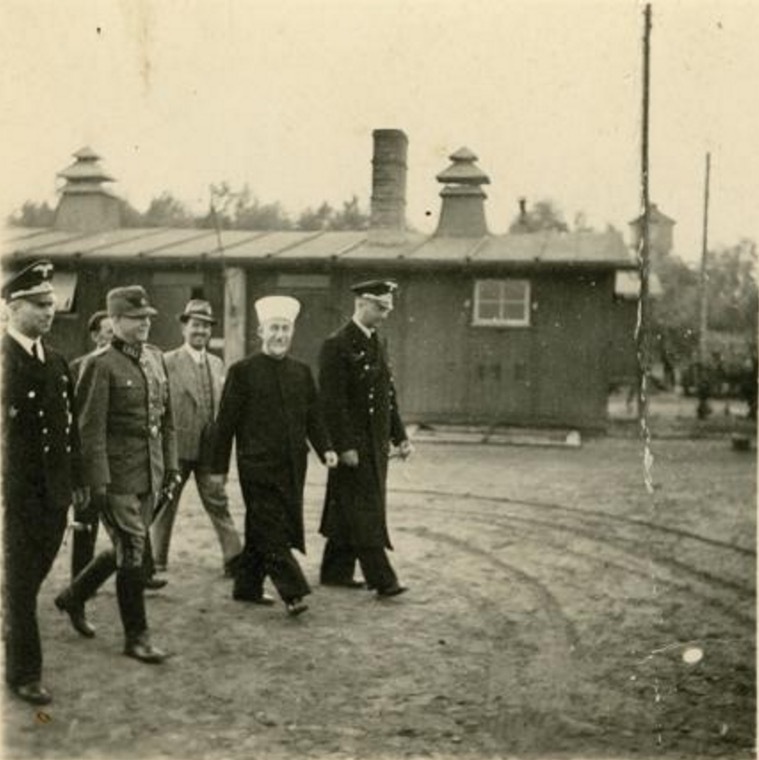 “Why did it have to be Christianity with its weakness and flabbiness?” Islam for Hitler was a “Männerreligion—a “religion of men.” Unlike Christianity, which celebrated the meek and mild, “Mohammedanism [is] that cult which glorifies heroism and which opens the seventh heaven to the bold warrior alone. Then the Germanic races would have conquered the world. Christianity alone prevented them from doing so.” Islam, Hitler claimed, was much more suited to the “Germanic temperament” than the “Jewish filth and priestly twaddle” of Christianity. So what would Hitler really have done in, if he woke up to find himself in Germany in 2011? According to Vermes, he would have been delighted to make common cause with those whom Vermes calls “islamophobes” and “neo-Nazis” who were opposed to Islam. Vermes apparently did not know that Hitler had expressed a deep admiration for Islam. 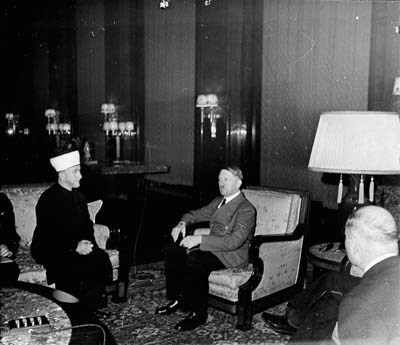 Far from enrolling in the ranks of its opponents, Hitler would almost at once have converted to Islam, the only religion that he felt suited the “bold warriors” of the “Germanic races.” And because he did not have a high opinion of the Arabs, whom he regarded as racially inferior, he would have wanted to convert as many Germans as he could, as quickly as he could, so as to fill the ranks of Islam in Germany with the superior Aryans, and thereby to ensure that the Arab Muslims were reduced to a lesser position in what they regard as “their” religion. Vermes’s novel about Hitler in 2011 has one great virtue. 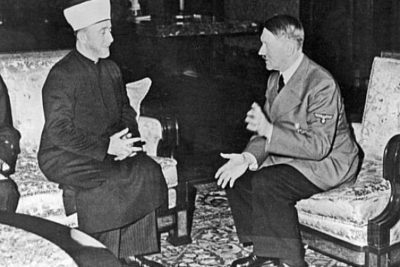 It invites, it virtually demands, discussion of Hitler’s views on Islam. Not the views Vermes thinks he held, but the quite different views we know, from Hitler’s own words, he in fact held. To many in Germany, who have been quite convinced that Der Führer would have wanted nothing to do with Islam, this should come as a salutary revelation. People will begin to think. About Islam. About Hitler’s admiration for the faith. What more can anyone ask?